Delicious Dim Sum for a joint birthday in China Town. Dim Sum for my family is the equivalent of a Sunday pub lunch. We would all get dressed in our best and head out to Dad’s favorite China Town Restaurant. We would order enough dishes to full the table and eat till we burst. 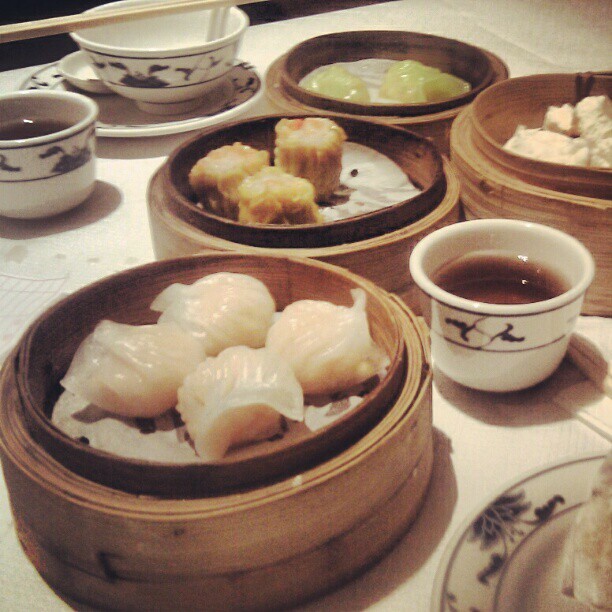 All my life Dim Sum has always been the way to celebrate special occasions.